Beet root is rich in heart-healthy folate. Beet root contains high concentrations of folate, dietary fiber, iron and vitamin C. More commonly known simply as beets, beet root is nutritious eaten raw or cooked, and can be canned, pickled or dried. Maximize the health benefits you receive from beet root by choosing a low-fat preparation method like roasting or steaming. A cup of cooked, sliced beet root contains 53.2 micrograms of folate. This amount is 13 percent of the U.S. Department of Agriculture's recommended daily allowance of folate for adult men and women. Folate, also called vitamin B-9, aids in the synthesis of red blood cells, amino acids, DNA and RNA. 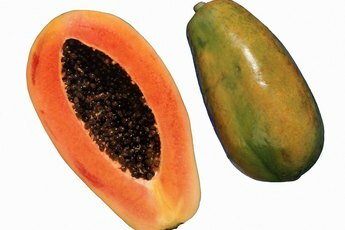 It plays a vital role in nervous system health and in energy metabolism. Adequate folate intake may help prevent heart disease, cancer, depression and neurodegenerative disorders like Alzheimer's disease or dementia. It is also directly linked to a decreased risk of birth defects in newborn infants. Because of this, pregnant women should be especially careful to include folate-rich foods like beets in their diet daily. A single beet provides about 2 grams of dietary fiber, or 8 percent of an adult's RDA of fiber. There are two main types of fiber -- soluble and insoluble -- and beet root is a good source of both. Eating plenty of soluble fiber may lessen your risk of diabetes and high blood cholesterol. Insoluble fiber, which passes through the intestinal tract undigested, can help prevent constipation and other digestive system problems. The Harvard School of Public Health adds that incorporating plenty of high-fiber foods into your diet may also decrease your risk of heart disease, colon cancer and diverticular disease. 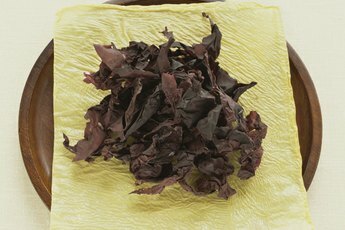 A cup of cooked beet root slices provides 16.7 percent of a man's daily iron needs and 7.4 percent of a woman's. Iron is required by the body for red blood cell synthesis, and not eating enough of the mineral can result in anemia. 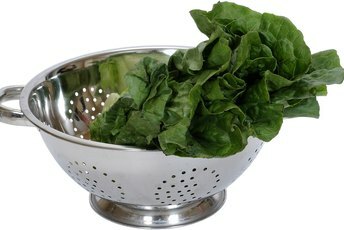 Iron is also a key component of adenosine triphosphate, or ATP, production. The iron contained in beets is in the non-heme form. Non-heme iron is not as easily absorbed as the heme form of iron found in animal-based foods. 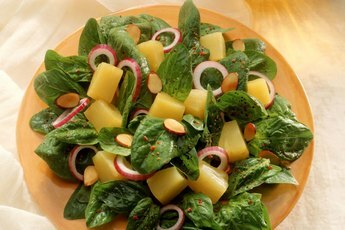 You can increase the iron you absorb from beet root by eating the vegetable with meat or a rich source of vitamin C. For a healthy, iron-rich meal, finely grate raw beet root and toss it with salad greens and orange segments. Or, use cooked beet slices as a side dish for grilled chicken, steak or fish. Every cup of cooked beet root supplies 8 percent of the RDA of vitamin C for adult women and 6.7 percent of the RDA of vitamin C for men. As an antioxidant, vitamin C can prevent the ability of free radical compounds to damage DNA and cellular tissue. It supports the health of the skin, bones and immune system and may decrease the risk of cancer, heart disease, osteoarthritis and age-related macular degeneration. The vitamin C content in beet root will degrade quickly if the vegetable is exposed to water, heat, light and air. Use beets within three to four days of purchase and don't peel or cut them until just before preparing them to eat. 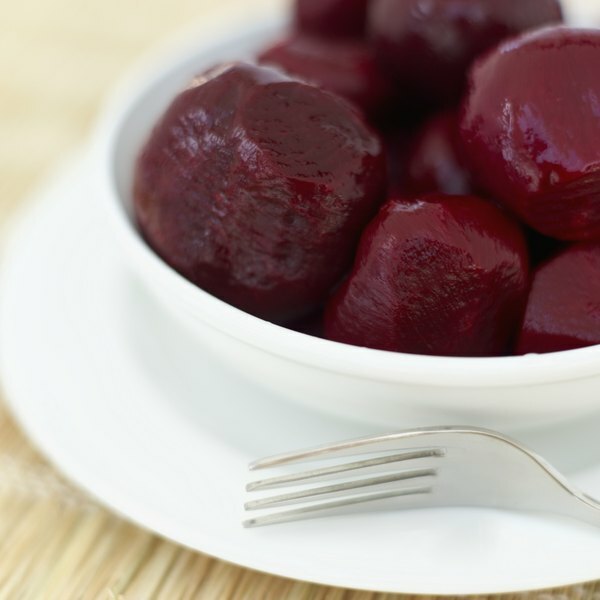 Steam or roast your beets instead of boiling them to minimize water contact. Harvard School of Public Health: Fiber - Start Roughing It! Do Sweet Potatoes Have Beta-Carotene?